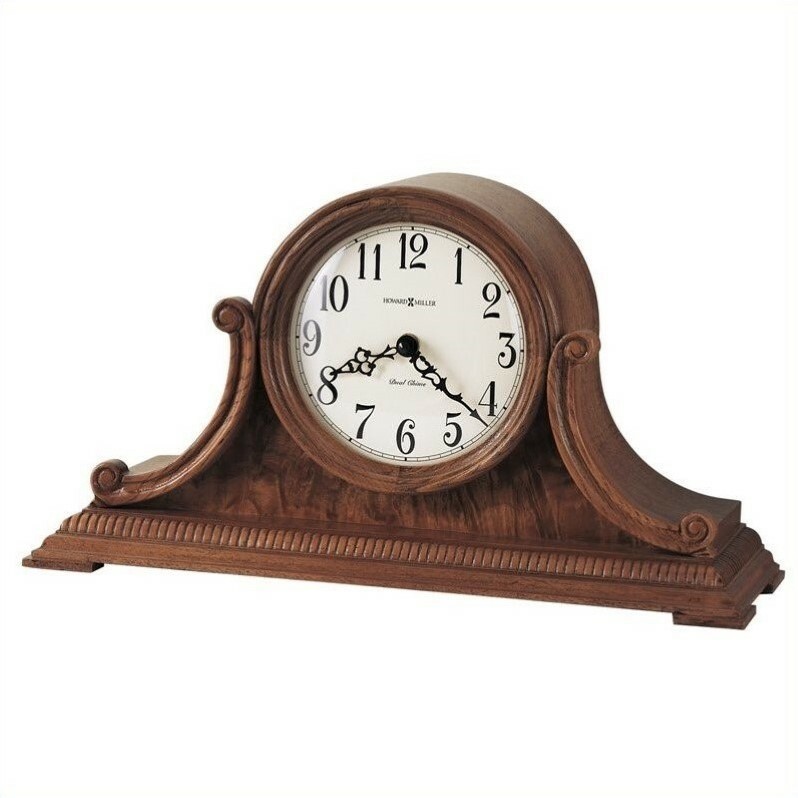 This traditional mantel clock has a definitive Old English charm to it and is just as well-suited to any shelf or table / counter top as it is to a mantel. Distinguished by its beaded dentil molding, carved side scrolls and burl veneered front panel, the glows with a particular charm. Dual-chime quartz movement and a Yorkshire oak finish round out the appeal of the Quartz Mantel Clock.